Nothing says pretty like a pair of pink pumps. Remember, though, cute doesn't have to be "kiddie". The 4 inch heel, iridescent metallic finish, thin instep strap and rhinestone button detail give Hale Bob's "Billie" mary jane peep toed pumps (from Shoes.com) the proper mix of sugar and spice. Perfect with your favorite jeans and tank or slinky summer dress, they say "I'm a lady in the streets, but I keep my shoes on in the boudoir." When you saunter up to the bar in these sweet stilettos, though, make sure you smile, bat your lashes and say please as you order the most scrumptious cocktail your mind can muster. Sipping a sweet "Maiden's Blush" will give your look the cocktail complement it needs and your tongue the polite greeting it deserves. 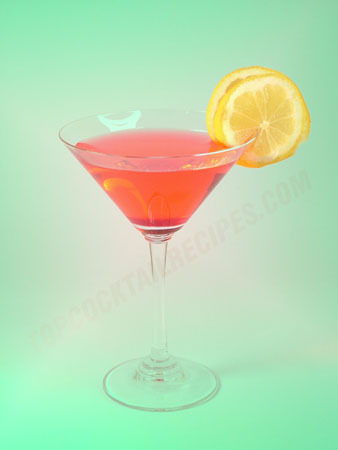 According to the mix-meisters at TopCocktailRecipes.com, this dulcet drink calls for gin (I recommend Bulldog brand), grenadine, Triple Sec and a dash of lemon juice. A word to the wise... gin can sneak up on you, especially when you can't really taste it. Know your limit, because no matter how prim your shoes, there's nothing ladylike about slurred speech and stumbling. I didn't think about the Hale Bob pink pump before but now I'm obsessed...must find these shoes /sigh and it seems that shoes.com is all out :( ah well - loving the blog and can't wait to see more shoes! Toni, those are going to be a hard pair to find :-(. I'd say just try googling them... maybe an off price store or online outlet will still have them... and don't forget eBay.